[FORGE] HP Spells! Cast spells with your voice! 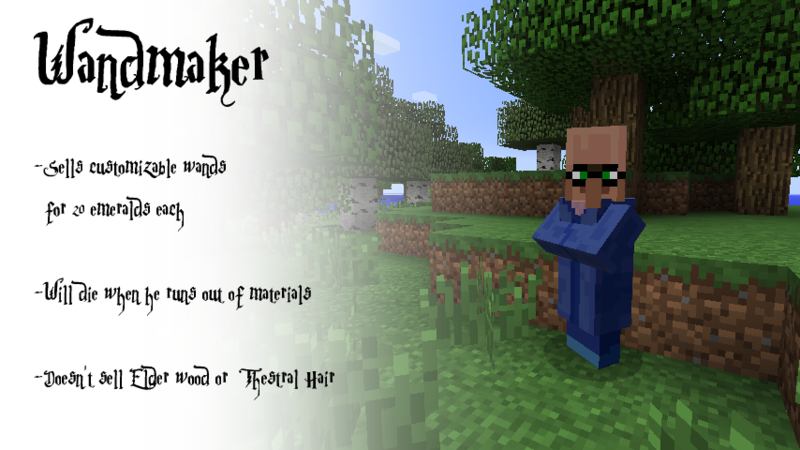 HP Spells (or Harry Potter Spells) is a mod that adds over 50 spells and voice recognition for them. 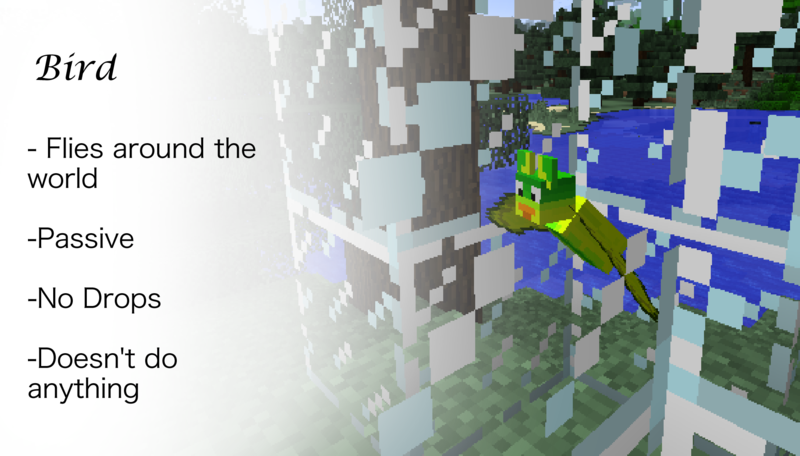 There are wands, broomsticks, custom GUIs and more. 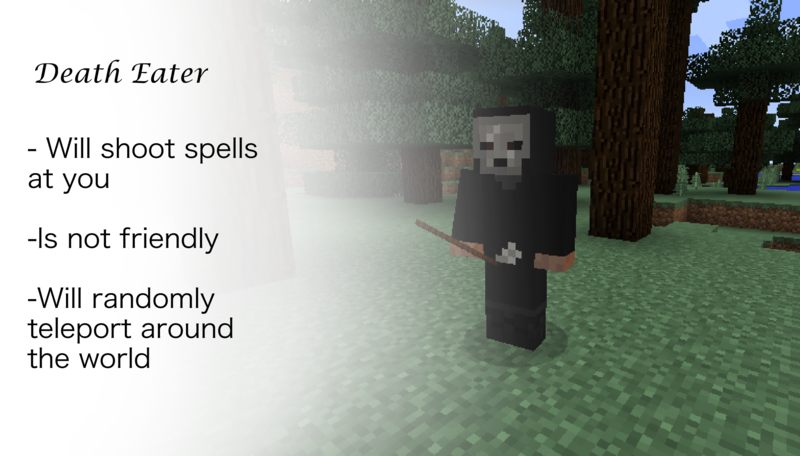 You can speak or type in your spells and duel other players with several offensive, defensive, and other spells! When you first spawn, you get a wand. You can find a wand maker and get a new wand for 20 emeralds. Press X to open the spell menu. Type in the first few letters of your desired spell and click the spell in the list below. Press C to activate speaking. Once the microphone appears, say the spell you want to cast. Press Z to cast your current spell, which is displayed in the bottom left corner. Press H to view a spell tree. Here you can learn new spells and increase your knowledge of the spells you know. Just click on a spell to learn it. All spells cost 10 experience levels to learn. Knowledge determines how consistently you can cast a spell. If you do not succeed in casting a spell, "Fizzle" will show up in chat. As you level up your knowledge, your chances of fizzling decrease. The maximum level of knowledge (At which you will never fizzle) is 2 knowledge levels for simple spells and 3 knowledge levels for complicated spells (The spells with the spiked corners and yellow names). The Dark Arts require that you craft a Dark Book. To learn a Dark Arts curse, you must have a Dark Book in your inventory and the normal amount of XP levels. 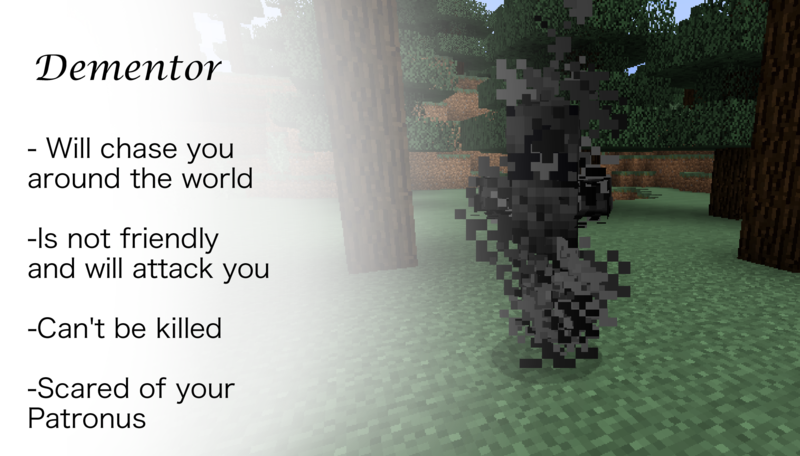 To cast Dark Arts curses, you must have a Dark Heart, which is acquired by killing creepers. 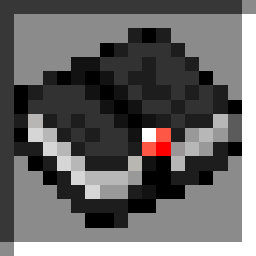 Dark Wards can be placed to prevent the casting of any Dark Arts curses within 8 blocks of it. 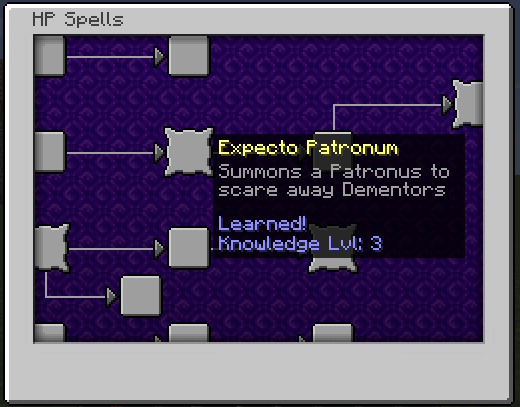 Skill levels affected many spells' abilities. You gain one skill point for a spell when you cast that spell. When you have 35 skill points, you will level up your skill for that spell. The maximum skill level is 6. Many spells do more damage or knock back or are more effective at higher skill levels. You can see your skill for the selected spell in the tooltip of your wand. Please ask me before you put your mod in any modpack. This mod is Copyright © 2016 APmodS All Rights Reserved. This mod can only be posted in any other play with my written consent. All downloads for this mod must lead to this page. Usage of any of this mod's source code or anything significantly similar is prohibited without my written consent. I hope you like it, feel free to send me your mod review and I will most likely post it up here. Thanks! Awesome mod! I read your other post for MagiCraft then came here after seeing that you discontinued it. May I do a mod review? Anyways, good luck! P.S. If you need any help with ideas or testing, I can be here to help! Of course you can! That would be great! I am always open to new ideas for functionality, spells, or anything else, so tell me any ideas you have when you get them. I'm glad you like the mod! Ok awesome! Are you add entities from Harry Potter, such as owls? Like maybe if your on a server they can deliver messages for you once you tame them? Also, are you going to add items from Harry Potter, like sorting hats and Invisibility cloak? I don't know just some things that popped into mind. I might, I definitely do planning on adding more enemies and some friendly creatures, and owls may be in there. Maybe, I don't really need a sorting hat because there won't be houses, but I do plan on adding the invisibility cloak. Ahh ok. That seems awesome. Would you mind sending me a link to your mod review when you make it? Sure but it probably be awhile. Also, do you want me to wait for an update or to just do it now? Would love to see slightly more intuitive casting. Maybe right or left click to cast? Very cool. I had an idea that maybe you could implement a way to become an Animagus. It could be the same as your patronus and allow you to transform. Probably do it now, there probably won't be any big updates soon. I'll see which one provides a better experience. What else do you mean by "more intuitive casting"? I don't know. It would be cool, but the morph mod has already done that. I don't know if I want to do it or leave it out. I like your idea about the animagus being the patrons, though. looks really awsome! played your other mod, MagiCraft, but this one looks way better! i tried to install it but crashed. can you fix it? because i would love to play it. Well I can't fix anything if I don't know why it crashed. Post the crash report (in a spoiler please). The mod runs, and I get the starter wand, but the mod isn't working properly for me. I can bring up the spell tree, but I can't choose my spells or use the mic. Neither keybind works, even after removing all the other keybinds from the letters it uses. Well I need a bit more information. 1) Are you using 1.7.10? 2) Do you see the key binds in the controls menu and are they red? 3) Are you using any other mods? A couple mods have had the same issue, while most handle conflicting keybind issues without fail. No idea what changed, but it's working now. Only thing not functioning is the voice. However, I have a new problem. This doesn't work for multiplayer. It crashes at server start, since I assume servers don't have voice. java.lang.IllegalArgumentException: No line matching interface TargetDataLine supporting format PCM_SIGNED 16000.0 Hz, 16 bit, mono, 2 bytes/frame, little-endian is supported.